South America has become a target for shale speculation in the Western Hemisphere, thanks largely to the immense unconventional resources in Argentina. Sitting atop the world’s second largest shale gas and fourth largest shale oil reserves, the country has rightly attracted the attention of the energy world. Successful shale development can be transformational for a nation’s economy – as the United States’ experience shows. But as Argentina, Colombia, and Chile are learning, the early stages of monetizing these assets can be particularly tough. 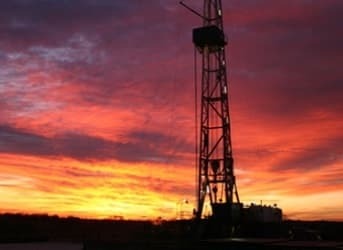 Argentina, with is 802 trillion cubic feet (tcf) of shale gas reserves, has drawn investor interest in recent years in spite of the country’s sometimes tetchy relationship with developers. Yet as exploration has begun in the lucrative Vaca Muerta formation, the challenges of shale production in Argentina have also come to light. Local infrastructure is currently inadequate, there is a lack of detailed information about the subsoil, and operations are inefficient when compared to their counterparts in the United States. The costs, if not prohibitive, call for a more efficient approach in Argentina, where a well can cost up to five times its equivalent in the United States. Notwithstanding these challenges, Argentina must act quickly to address its critical energy situation. The country has experienced 15 years of declining oil production and 10 years of production declines in natural gas. Meanwhile, demand for natural gas is growing at an annual rate of 5 – 6 percent, and despite abundant reserves the country has become a net importer of natural gas. Given the current supply-demand imbalance, Argentina must find a way to fast-track its unconventional learning curve. Chile may be a country better known for hydropower than hydrocarbons but that has not dampened expectations at state oil company ENAP. On the back of positive initial exploration efforts in 2013, ENAP has announced its intention to move forward with drilling in the potentially shale-rich Magallanes region. The US Energy Information Administration estimates that the Chile portion of the Magallanes basin (which it shares with Argentina) holds 49 tcf of shale gas and 2.4 billion barrels of recoverable shale oil reserves. ENAP already began producing tight gas in 2013 and plans to invest $130m in Magallanes exploration and production this year. The new Bachelet government is also banking on ENAP playing a bigger role in domestic oil and gas production. In its energy strategy released May 15, the government pledged to provide the financing, human resources and technology necessary for the company to fulfil its mission as the national energy provider. The mining sector in particular stands to benefit from domestic hydrocarbons production, as tight supplies and high energy costs have raised concerns around the future of the country’s multi-billion-dollar mining industry. That said, with estimates that it would cost at least $500m to fully develop the shale oil and gas potential in Chile, there’s still some way to go. Chile’s well-established environmental and social movements, which have proved extremely successful in delaying hydro mega projects in the country, should also be considered as Chiles moves ahead with efforts to spark a shale revolution of its own. Colombia, meanwhile, has piqued the interest of investors and policy makers in the decade since it opened its energy sector. Energy reforms enacted in 2003 quickly doubled oil production from just over 500,000 barrels per day in 2005 to top a million barrels per day today. But with oil production plateauing, and internal demand rising, Colombia is opening more areas to exploration in the hope of repeating its success, this time in the unconventional arena. Colombia’s geographical advantage – with both Pacific and Caribbean coastlines - has made natural gas exploration and export a priority. And while Colombia has 55 tcf of technically recoverable shale reserves, so far there has been little progress in unconventional production. The first bid round to include unconventional blocks, in 2012, did not attract much interest. Ongoing insecurity and attacks on energy infrastructure are doing little to boost investor confidence. Environmental concerns as well as the permitting delays that have irked investors in the conventional oil and gas industry are also likely to come into play as unconventional development moves forward. But Colombia’s national hydrocarbons agency, ANH, has high hopes for the second unconventional auction as part of Ronda Colombia 2014. Of the 97 blocks offered, 19 are shale oil and gas. ANH has reported interest from some of the oil majors but it remains impossible to gauge real investment potential until proposals are submitted next month. Across South America, countries seeking to monetize their unconventional resources face a long road ahead. Even as the region gains access to the technology, know-how, and human and financial capital required, countries will continue to struggle with scale. According to RBC Capital Markets, over 20,000 horizontal wells are expected to be drilled in 2014 in the United States. This compares to 250 unconventional wells in Argentina, and just 10 in Colombia, according to energy consulting firm Wood Mackenzie. Overall, the optimism surrounding South America’s shale oil and gas potential has not been misplaced. But those eagerly awaiting the next shale revolution would do well to adjust their expectations, at least in the short to medium term. 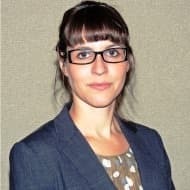 Alexis Arthur is Energy Policy Associate at the Institute of the Americas, a think tank focused on Western Hemisphere Affair, based at the University of California, San Diego. She can be reached at alexis@iamericas.org or @IOA_Energy.